Welcome to the home page for the Just Race Parts blog. Here you will find news articles that we have written, be it about new products that have just arrived, new products that are in development or just general news we found interesting in the motorsport world and thought we would share. There is also a guides section to our blog, this is where we will add up install guides, extra information that relates to the products we sell and just general guides that we think would come in handy for customers. On each article we have Facebook comments enabled so that customers or prospective customers can interact with us or each other. 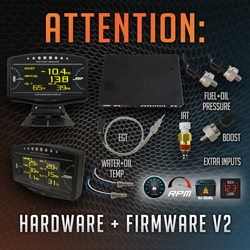 Over the last year there has been a fair few changes to the multi gauges, addition of the wideband lean out warning, making the oil and fuel pressure warning systems much more advanced, but none of these are as big as this update, this is a complete hardware refresh along with new sensors & inputs and some decent firmware changes and communication protocols. While there has been only one feature added in this latest firmware, it’s a big one. 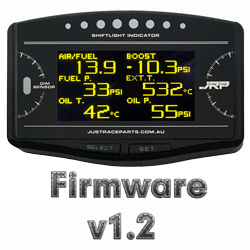 This latest firmware which all stocks are now shipping with has had a wideband AFR lean out warning added to the gauges, in our opinion this is really a big deal and takes the whole warning system on these gauges to another level and further improves on what was already an incredibly great warning system. 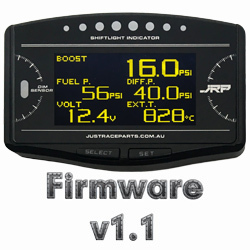 The latest firmware v1.1 for the 10in1 multi gauge we sell has arrived and stocks programed with the latest firmware are ready to ship. There has been one new readout added and some changes to the way a couple of the warning functions work, and one of the readouts has had it’s display named changed, much to the joy of supercharger owners. 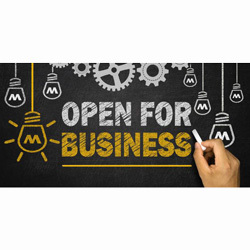 Well as the article title describes, our website is officially launched, while there is still a lot coming and needing to be added to the website over the coming months, we are now able to take orders directly over the website and with this take the opportunity to introduce our business and what is in the works over the coming months.